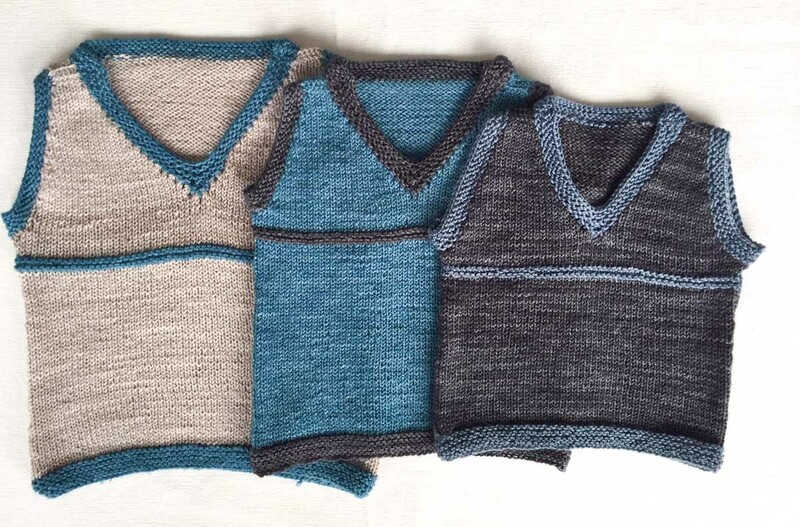 This v-neck vest is a cute pattern if you have little people in your life. 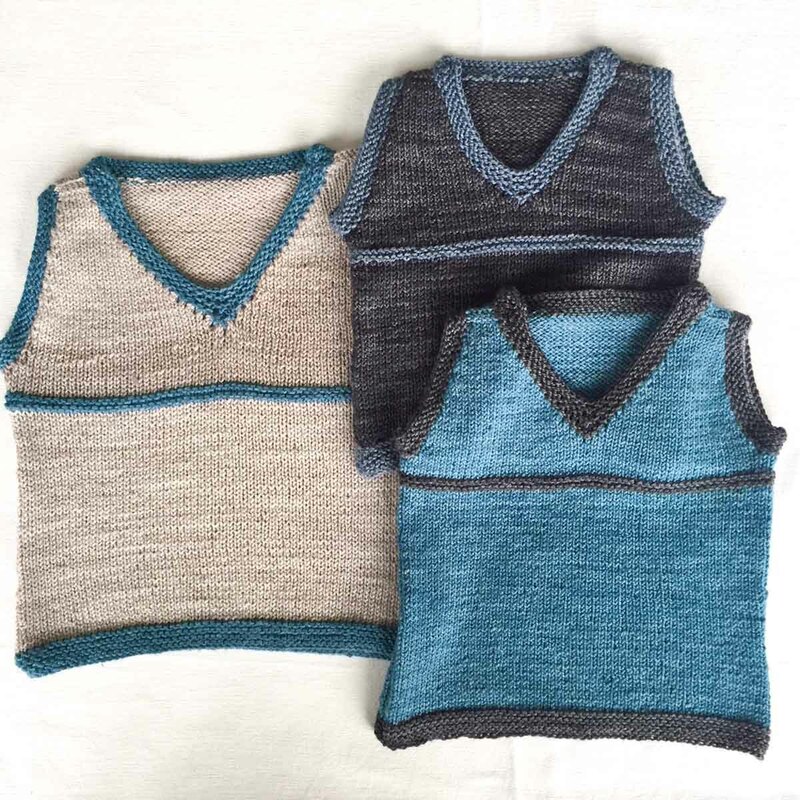 A vest is also a practical garment for tiny people and toddlers – easy to wear and keeps them warm when the weather is in-between. It’s also a quick and pretty easy knit. And you can glam it up with a crazy combination of colours. On your next row K2togtbl, knit to last 2 sts, k2tog and repeat on every 4th row until you have 32 (38,44) stitches. To finish the back, cast off the first 6 stitches, hold 20 ( 26,32 ) sts for back neck, cast off the last 6 stitches. Knit halfway across 24 (26, 28) stitches, turn and purl back and continue working on only these 24 (27,29) stitches. Sew one shoulder seam closed. Using contrast Colour B pick up back stitches, and one stitch for every row around the front neckline. Knit 6 rows in garter stitch then cast off. Join the edging and sew the other shoulder seam closed. 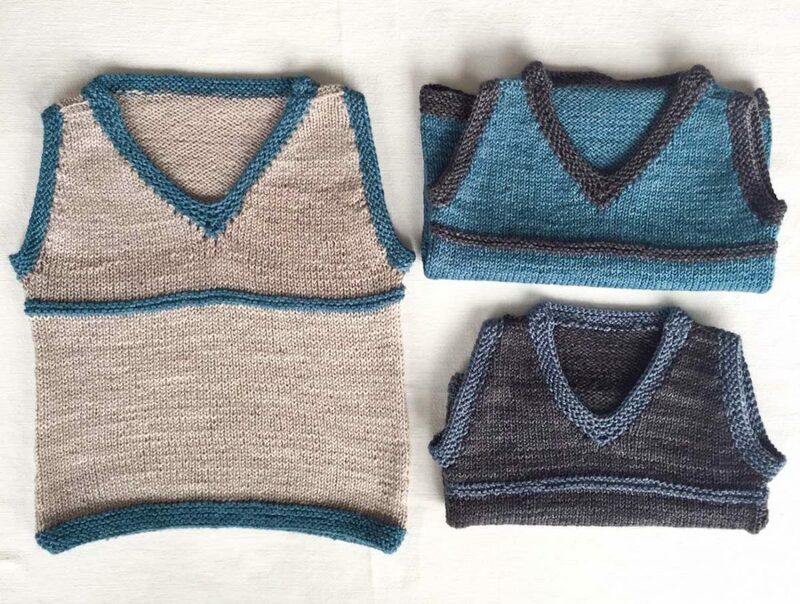 On the armholes, using contrast Colour B, pick up one stitch for every row and knit 6 rows in garter stitch. Cast off and sew side seams closed and your vest is finished.